A Nobel Prize-winning University of Utah geneticist discovered that bone marrow transplants cure mutant mice who pull out their hair compulsively. The study provides the first cause-and-effect link between immune system cells and mental illness, and points toward eventual new psychiatric treatments. "We're showing there is a direct relationship between a psychiatric disorder and the immune system, specifically cells named microglia that are derived from bone marrow" and are found in the brain, says Mario Capecchi, a distinguished professor of human genetics at the University of Utah School of Medicine. "There's been an inference. But nobody has previously made a direct connection between the two." The findings – published in the Friday, May 28 issue of the journal Cell – should inspire researchers "to think about potential new immune-based therapies for psychiatric disorders," says Capecchi, a 2007 Nobel laureate in physiology or medicine. Nobel Prize-winning geneticist Mario Capecchi of the University of Utah has published a new study establishing a cause-and-effect link between the immune system and a psychiatric disorder. Capecchi and colleagues found that mutant immune cells named microglia make affected mice compulsively groom and pull out their hair. A similar disorder is fairly common in people. Credit: Tim Kelly for the University of Utah. Capecchi and colleagues showed that pathological grooming and hair-pulling in mice – a disorder similar to trichotillomania in humans – is caused by a mutant Hoxb8 gene that results in defective microglia, which are immune system cells that originate in bone marrow and migrate from blood to the brain. Microglia defends the brain and spinal cord, attacking and engulfing infectious agents. Mice with pathological grooming appear to groom normally, but do so too often and for too long, leading to hair removal and self-inflicted skin wounds. The disease of pulling out head or body hair is common in humans; studies in seven international communities found trichotillomania affecting 1.9 to 2.5 of every 100 people. In the key experiment, geneticist Shau-Kwaun Chen, Capecchi and colleagues transplanted bone marrow from normal mice into 10 mice that had a mutant Hoxb8 gene and compulsively pulled out their own chest, stomach and side fur. As the transplant took hold during ensuing months, grooming behaviour became normal, four mice recovered completely and the other six showed extensive hair growth and healing of wounds. "A lot of people are going to find it amazing," says Capecchi. "That's the surprise: bone marrow can correct a behavioural defect." "I'm not proposing we should do bone marrow transplants for any psychiatric disorder" in humans, he says. Bone marrow transplants are expensive, and the risks and complications are so severe they generally are used only to treat life-threatening illnesses, including certain cancers and disabling autoimmune diseases such as lupus. Capecchi says that mice with the mutant gene that causes pathological grooming now can be used to study the surprising connections between the immune system's microglia cells and mental illness – and ultimately to produce new treatments. "We think it's a very good model for obsessive-compulsive disorder," he says. The researchers also transplanted bone marrow into normal mice from Hoxb8 mutant, hair-pulling mice. The normal mice started pulling out their hair compulsively. Normal mice transplanted with normal bone marrow kept grooming normally, while mutant mice implanted with mutant bone marrow exhibited severe grooming and self-mutilation. Half died, probably due to difficulty re-establishing mutant bone marrow. Capecchi and colleagues also proved that reduced sensitivity to pain among mutant Hoxb8 mice is not the cause of the animals' compulsive grooming and hair removal, as some researchers had believed. Capecchi says previous studies have linked the immune system and psychiatric disorders, but not in a cause-and-effect manner. "If you look at people who are depressed, often you find their immune system isn't working normally," Capecchi says. Moreover, studies have shown that genes that confer a higher rate of depression, schizophrenia, obsessive-compulsive disorder, bipolar disorder and autism also "have something to do with the immune system," he adds. The new findings "provide direct evidence for an association between neuropsychiatric diseases and dysfunction of the immune system or of the blood-forming system," says Capecchi. Hox genes orchestrate embryo development. Hoxb8 is responsible for maintaining "myeloid progenitor cells," including those that give rise to monocytes, which are white blood cells that move from the circulatory system to the brain and become microglia. It was surprising that the new study identified mutant microglia cells that originate in bone marrow as the cause of compulsive hair-pulling in mice. Researchers expected to find the mutant Hoxb8 in brain nerve cells that control grooming. It is the first study to suggest "there is a connection between microglia and behaviour – and a direct connection," Capecchi says. Capecchi says nerve cells or neurons represent only about 10 percent of the brain, and the rest is made of various glial cells, including microglia. There are two kinds of microglia in the brain. Sixty percent are "resident" microglia that form in an embryo's brain even before the blood circulation system develops. The second kind of microglia in the brain – 40 percent of the total – originates in bone marrow, and then moves to the brain, circumventing the blood-brain barrier. The geneticists believed the mutant microglia originated in bone marrow because they did not find them among the resident microglia present in the mouse brain at birth, but instead saw microglia with mutant Hoxb8 first migrate into the mouse brain two days after birth. To identify the cells in the brain with active mutant Hoxb8 genes, the researchers used a method that attached a fluorescent yellow-green label to such cells. Capecchi first reported in 2002 that mice with mutant Hoxb8 genes displayed compulsive grooming and pulling out the hair on their chest, stomach and sides. Over the years, some researchers attributed this to reduced pain sensitivity also observed in mutant Hoxb8 mice, apparently due to nerve damage in the spinal cord. The idea was that reduced sensitivity to pain would make mice scratch more in response to an itch. In the new study, the Utah geneticists concluded that compulsive grooming and reduced sensitivity to pain were due to separate malfunctions of the Hoxb8 gene; the bone marrow transplants that cured hair-pulling did not restore the loss of pain sensitivity. The mice shown here both had a mutant gene named Hoxb8 that originated in bone marrow and caused the mice to groom themselves pathologically, pulling out their hair. The mouse on the left displays hair loss on its chest and flank. After receiving a bone marrow transplant from a normal mouse three months earlier, the mouse at right fully recovered from the pathological grooming mutation and regrew its lost hair. 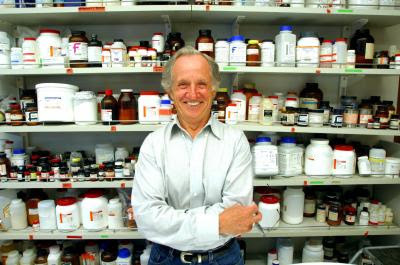 University of Utah geneticist and Nobel Laureate Mario Capecchi says the study is the first to show and direct cause-and-effect link between an immune system defect and a psychiatric disorder. Credit: Shau-Kwaun Chen, University of Utah. In addition, mutating Hoxb8 genes in microglia from bone marrow made the mice groom pathologically but did not make them insensitive to pain. Mutating Hoxb8 in the spinal cord resulted in reduced sensitivity to pain, but not compulsive grooming. Finally, in earlier studies of mice insensitive to pain due to mutant Hoxb8, the mice used paws to scratch too much and cause hair loss and wounds on their rumps, near the tail. However, mice in the Utah study used their teeth to remove hair on their chest, stomach and sides. They followed a normal head-to-rear grooming pattern, but did it excessively. How do mutant immune cells from bone marrow cause pathological grooming? All we know now is that there are 15 percent fewer microglias in the brain when Hoxb8 is mutant, Capecchi says. "In the next wave of experiments, we can ask how microglia affect behaviour. We anticipate it has to affect neural circuitry in some way." He speculates ways mutant microglia might trigger pathological grooming: The microglia could make cytokines that activate or inhibit nerve activity, and thus influence behaviour. Because microglias have long extensions that "feel" the synapses that connect nerve cells, they might be involved in controlling nerve-signal transmissions, he says. For now, "we have no idea which will be right," Capecchi says. In Capecchi's 2002 study of mice with compulsive grooming, the researchers recorded the number and duration of each mouse's grooming sessions using a video recorder, which was very labour intensive to analyze. So in the new study, the mouse cages were placed on sensitive vibration-detecting platforms capable of distinguishing mouse vibration from different activities such as eating, drinking, grooming, climbing, sitting still, walking and scratching. They tested the method's accuracy by using a video camera to double check what the mice were doing at times. The result: Mice with the mutant Hoxb8 gene spent about twice as much time grooming as their normal littermates. "We made a complex structure consisting of many cell types," said study leader Hans Keirstead of the Reeve-Irvine Research Center and the Sue and Bill Gross Stem Cell Research Center at UCI. "This is a major advance in our quest to treat retinal disease." In this study, the Keirstead team utilized the differentiation technique to create the multiple cell types necessary for the retina. The greatest challenge, Keirstead said, was in the engineering. To mimic early-stage retinal development, the researchers needed to build microscopic gradients for solutions in which to bathe the stem cells to initiate specific differentiation paths. "Creating this complex tissue is a first for the stem cell field," Keirstead said. "Dr. Gabriel Nistor in our group addressed a really interesting scientific problem with an engineering solution, showing that gradients of solutions can create complex stem cell-based tissues." The retina is the inside back layer of the eye that records the images a person sees and sends them via the optic nerve from the eye to the brain. Retinal diseases are particularly damaging to sight. More than 10 million Americans suffer from macular degeneration, the leading cause of blindness in people over 55. About 100,000 have retinitis pigmentosa, a progressive, genetic disorder that usually manifests in childhood. "What's so exciting with our discovery is that creating transplantable retinas from stem cells could help millions of people, and we are well on the way," Keirstead said. A study at the University of Edinburgh has shown that embryonic stem cells consist of cells that switch back and forth between precursors of different cell types. This may be linked to their potential to become any cell type in the body. The findings could help scientists catch embryonic stem cells at exactly the right point when they are primed to differentiate into cells that form specific tissues. The study indicates that embryonic stem cells are not a single cell type as previously thought, but comprise a mixture of different cell types from the early embryo that can transform themselves from one type to another. Scientists previously thought that embryonic stem cells were only able to become the embryonic precursors for adult cells, a property known as pluripotency. The researchers have now found that they can also turn into cells associated with the placenta. These cells – known as the primitive endoderm - form the yolk sac that helps provide nutrients to the early embryo. The study, published in the journal PLoS Biology, also shows that embryonic stem cells are able to alternate and transform themselves between cells that create the primitive endoderm and founder embryonic cells, which will go on to form tissues in the body. Although cells in early embryonic development switch back and forth between these two different cells, signals received from surrounding cells and the embryonic environment allow them to quickly fix on becoming one specific cell type. However, in the laboratory embryonic stem cells are grown in a dish away from the embryo and as a result exist in a captured state where their identity does not become fixed. Scientists hope that better understanding of how embryonic stem cells change will enable them create an environment to encourage growth of specific cells. "This study changes our view of what embryonic stem cells are and how they behave. Knowing that embryonic stem cells can switch between different founder cell types could help us isolate cells at a point in time when they are primed to become specific cells. This could improve the ability to produce specific cells in the laboratory." Mycoplasma mycoides JCVI-syn1.0. Credit: J. Craig Venter Institute. 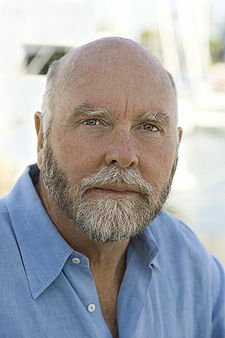 “For nearly 15 years Ham Smith, Clyde Hutchison and the rest of our team have been working toward this publication today – the successful completion of our work to construct a bacterial cell that is fully controlled by a synthetic genome,” said J. Craig Venter, Ph.D., founder and president, JCVI and senior author on the paper. “With this first synthetic bacterial cell and the new tools and technologies we developed to successfully complete this project, we now have the means to dissect the genetic instruction set of a bacterial cell to see and understand how it really works." To complete this final stage in the nearly 15 year process to construct and boot up a synthetic cell, JCVI scientists began with the accurate, digitized genome of the bacterium, M. mycoides. The team designed 1,078 specific cassettes of DNA that were 1,080 base pairs long. These cassettes were designed so that the ends of each DNA cassette overlapped each of its neighbours by 80bp. The cassettes were made according to JCVI’s specifications by the DNA synthesis company, Blue Heron Biotechnology. “We can now begin working on our ultimate objective of synthesizing a minimal cell containing only the genes necessary to sustain life in its simplest form. This will help us better understand how cells work,” he added. As in the team’s 2008 publication in which they described the successful synthesis of the M. genitalium genome, they designed and inserted into the genome what they called watermarks. These are specifically designed segments of DNA that use the “alphabet” of genes and proteins that enable the researcher to spell out words and phrases. The watermarks are an essential means to prove that the genome is synthetic and not native, and to identify the laboratory of origin. Encoded in the watermarks is a new DNA code for writing words, sentences and numbers. In addition to the new code there is a web address to send emails to if you can successfully decode the new code, the names of 46 authors and other key contributors and three quotations: "To live, To err, To fall, To triumph, To recreate life out of life." – James Joyce; "See things not as they are, but as they might be.” – A quote from the book, “American Prometheus”; "What I cannot build, I cannot understand." – Richard Feynman. In 2008 the same team reported on the construction of the first synthetic bacterial genome by assembling DNA fragments made from the four chemicals of life — ACGT. The final assembly of DNA fragments into the whole genome was performed in yeast by making use of the yeast genetic systems. 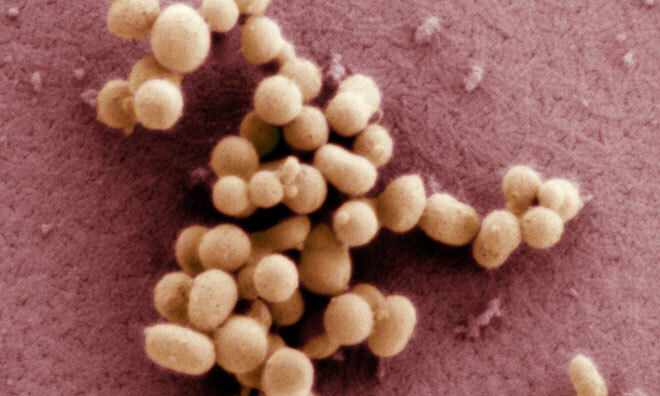 However, when the team attempted to transplant the synthetic bacterial genome out of yeast and into a recipient bacterial cell, viable transplants could not be recovered. The JCVI is a not-for-profit research institute in Rockville, MD and La Jolla, CA dedicated to the advancement of the science of genomics; the understanding of its implications for society; and communication of those results to the scientific community, the public, and policymakers. Founded by J. Craig Venter, Ph.D., the JCVI is home to approximately 400 scientists and staff with expertise in human and evolutionary biology, genetics, bioinformatics/informatics, information technology, high-throughput DNA sequencing, genomic and environmental policy research, and public education in science and science policy. The legacy organizations of the JCVI are: The Institute for Genomic Research (TIGR), The Center for the Advancement of Genomics (TCAG), the Institute for Biological Energy Alternatives (IBEA), the Joint Technology Center (JTC), and the J. Craig Venter Science Foundation. The JCVI is a 501 (c) (3) organization. Human stem cells administered intravenously can restore alveolar epithelial tissue to a normal function in a novel ex vivo perfused human lung after E. coli endotoxin-induced acute lung injury (ALI), according to research from the University of California San Francisco. The findings will be reported at the American Thoracic Society 2010 International Conference in New Orleans. ALI is a common cause of respiratory failure in the intensive care units, often leading to death. It can be caused by both direct injury such as aspiration and pneumonia, and indirect injury such as sepsis and from trauma. ALI is characterized by diffuse bilateral infiltrates on chest x-ray, hypoxemia and both lung endothelial and epithelial injury. Because ALI causes injury to the alveolar epithelium, it impairs its ability to reabsorb pulmonary oedema fluid from the airspaces of the lung. Yearly, ALI affects approximately 200,000 patients in the US and has a 40 percent mortality rate despite extensive investigations into its causes and pathophysiology. Innovative therapies are desperately needed. To determine whether stem cell therapy given intravenously would be able to repair the damaged alveolar epithelium, researchers used right human lungs that had been declined for transplantation by the Northern California Transplant Donor Network. The lungs were perfused with whole blood and ventilated with continuous positive airway pressure. The researchers then infused the right middle lung with endotoxin, which induces acute lung injury. One hour following injury, clinical grade human mesenchymal stem cells (hMSC) — those that are derived from bone marrow of healthy adults — were given intravenously. "We found that intravenous infusion of clinical grade cryo-preserved allogeneic hMSC were effective in restoring the capacity of the alveolar epithelium to resolve pulmonary oedema when given after the establishment of E. coli endotoxin-induced acute lung injury in an ex vivo perfused human lung preparation," explained Jae-Woo Lee, M.D., who led the study in the laboratory of Michael A. Matthay, M.D..
"In addition, we found that intravenous infusion of hMSC preferentially homed to the injured areas of the lung, which means that the cells find their way from the bloodstream to the sites in the lung of injury." Prior research from the group focused on delivering stem cells intrabronchially. Importantly, in this study, the group found that intravenous delivery of hMSC worked as well as intrabronchial administration. Intravenous administration would be preferred in critically ill mechanically ventilated patients with ALI because bronchoscopy may lead to transient problems with oxygenation and ventilation. In addition to having restored function of alveolar epithelial cells, lungs treated with hMSC showed a reduction in inflammatory cytokine, IL-1beta and IL-8, levels suggesting a favourable shift away from a pro-inflammatory environment in the injured alveolus. "These results suggest that the intravenous route would be ideal for potential clinical trials of hMSC for severe acute lung injury, a syndrome of acute respiratory failure in critically ill patients that is associated with 40 percent mortality," said Dr. Lee. "These results extend our recent publication, which demonstrated that hMSC may have therapeutic potential clinically in patients with severe acute lung injury. We need to do more experiments with testing the effect of hMSC against live bacterial induced lung injury in the perfused human lung and now advance to doing Phase I and II safety and efficacy studies in patients." Particular parvoviruses normally infect rodents, but they are also infectious for human cells. However, they do not cause any disease symptoms in humans. Most importantly, these viruses have an astonishing property: They kill infected tumours cells without causing any damage to healthy tissue. Therefore, scientists in the teams of Jean Rommelaere and Jörg Schlehofer at the German Cancer Research Center (Deutsches Krebsforschungszentrum, DKFZ) have been investigating over the past years whether these viruses can be used as weapons against cancer. Many different viruses have been tested before in cancer therapy, particularly for treating those types of cancer for which there are no effective established treatment methods. 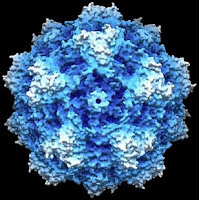 The DKFZ researchers realized early on that parvovirus H-1 has important advantages over other viruses. Now they have been the first to prove that malignant glioblastomas regress completely as a result of treatment with these viruses. The treatment experiments were conducted in rats who had received brain tumours cells by implantation. Once the resulting brain tumours had reached a specified size, the animals were given parvoviruses, either by direct injection into the tumour or via the blood stream. In those animals in which the viruses had been injected directly into the tumour, the tumours shrank visibly after only three days and even disappeared completely in eight of twelve animals treated. The rodents survived without any symptoms, while untreated control animals suffered from severe disease symptoms within three weeks following tumour cell implantation. In the intravenously treated group, tumours regressed completely in six of nine animals. The animals have survived for more than one year now without any symptoms or late side effects of therapy. The researchers found no infection-related damage in the nervous tissue surrounding the tumour. The viruses did not spread to the whole organism. Although parvovirus DNA was detectable in all organs after several days following virus transfer, this was only for a short time. The viruses had infected healthy cells, but these did not produce a new virus generation. However, in the tumour tissue, the viruses reproduced and viral protein production was detected only in these cells. In rats that did not bear tumours, the viruses did not reproduce. Thus, it appears that the presence of cancer cells is a necessary condition for the parvoviruses to reproduce. After the positive results of these experiments the DKFZ researchers are convinced that parvoviruses are suitable candidates for use in cancer treatment. "Parvovirus H-1 does not cause any disease symptoms in humans. Since we are normally not immune against rodent viruses, it is not immediately eliminated by the human immune system after injection. 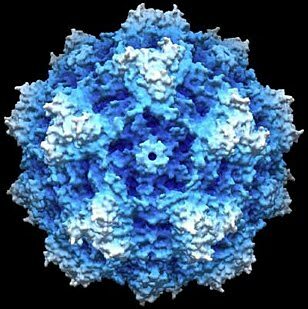 Parvoviruses kill tumours due to natural properties so that their genetic material does not need to be genetically manipulated like herpes viruses, polio viruses or adenoviruses, which have been used in other studies. Moreover, they do not incorporate their genetic material into the host cell's genome, so we need not fear that they might 'accidentally' boost growth-promoting genes." "Parvoviruses pass the blood brain barrier so that they can be administered via the blood stream. In addition, they reproduce in cancer cells, which is particularly important for successful treatment of glioblastoma with its diffuse growth. Thus, the second generation viruses reach and eliminate even those cancer cells that have already settled at some distance from the primary tumour." The promising results in the animal model have encouraged the DKFZ scientists, jointly with Dr. Karsten Geletneky of the Neurosurgery Department of Heidelberg University, to plan a clinical trial on the treatment of advanced glioblastomas. Glioblastoma is considered the most threatening type of brain tumour; only about half of those affected survive the first year after diagnosis. Even innovative drugs that have been made available recently can prolong survival only marginally. Therefore, new treatment approaches for this type of cancer are urgently needed. An international research team has sequenced the Neanderthal genome, using pill-sized samples of bone powder from three Neanderthal bones found in a cave in Croatia. The results appear in the 7 May issue of the journal Science. The researchers, led by Svante Pääbo of the Max-Planck Institute for Evolutionary Anthropology in Leipzig, Germany, compared the Neanderthal genome with the genomes of five present-day humans from different parts of the world. The results reveal a variety of genes that are unique to humans, including a handful that spread rapidly among our species after humans and Neanderthals split from a common ancestor. These findings thus offer a shortlist of genomic regions and genes that may be key to our human identity. The scientists also found that modern humans and Neanderthals most likely interbred, to a small extent, probably as modern humans encountered Neanderthals in the Middle East, after leaving Africa. "Having a first version of the Neanderthal genome fulfils a long-standing dream. For the first time we can now identify genetic features that sets us apart from all other organisms, including our closest evolutionary relatives," said Pääbo. "We have so many questions about the Neanderthals, not the least of which is, how much were they like us? The Neanderthal genome promises to be a fruitful source of information about the evolutionary events that produced modern humans and Neanderthals," said Andrew Sugden, Deputy and International Managing Editor at Science. Neanderthals are our closest evolutionary relatives. They first appeared around 400,000 years ago, ranged across Europe and western Asia, and became extinct approximately 30,000 years ago. The draft Neanderthal genome sequence being reported in Science represents about 60 percent of the entire genome. The genetic material that was sequenced came from single bones from three individual Neanderthals. The sequencing effort involved multiple steps to deal with the challenges of sequencing ancient DNA. The researchers removed as little material as possible from the bones, using a delicate dentist's drill so as not to damage the fossils, and they conducted their lab research using sterile "clean-room" conditions, to avoid contaminating the material with DNA from present-day humans and other organisms. They also weeded out the much more abundant microbial DNA that had colonized the bones since the individuals died. Modern humans and Neanderthals are so closely related that a comparison of their genomes must take into account the fact that for any particular part of the genome, a single modern human and a single Neanderthal could be more similar to each other than two modern humans would be. Most of what we know about genetic variation among humans today is based on European populations. 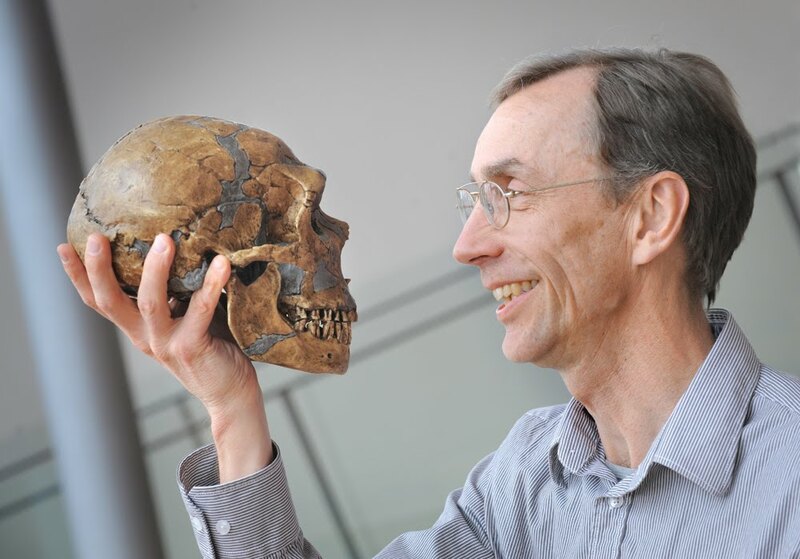 Seeking a broader picture, Pääbo and his colleagues sequenced the genomes of five present-day humans from southern Africa, West Africa, Papua New Guinea, China and France, and compared the Neanderthal genome to the genomes of these individuals. The Neanderthal genome sequence proved to be slightly more similar to those of the non-African individuals. Though other explanations are possible, one of the simplest scenarios is that early modern humans interbred with Neanderthals in the Middle East, after leaving Africa and before spreading into Eurasia. Approximately 1 to 4 percent of the modern human genome seems to be from Neanderthals, the authors estimate. Population models have suggested that when a colonizing population comes across a resident population, even a small amount of interbreeding can be widely reflected in the colonizing populations' genome, if that population then expands significantly. Thus, the relatively low percentage of Neanderthal DNA in the modern human genome may suggest that interbreeding was actually fairly limited. The comparisons between the Neanderthal and modern humans also produced many other results that may ultimately be more important than the admixture discovery when it comes to giving us a better understanding of ourselves. "It's cool to think that some of us have a little Neanderthal DNA in us, but, for me, the opportunity to search for evidence of positive selection that happened shortly after the two species separated is probably the most fascinating aspect of this project," Pääbo said. His team devised a method to look for regions of the modern-human genome where new genes have spread through the population since the two species diverged. These genes are likely to have somehow improved early humans' odds for survival or reproduction. The researchers screened the genomes of five modern-day humans from around the world to look for genomic regions with sequence variations that occur frequently in humans but not in Neanderthals, suggesting human-specific selection. Any variation shared with Neanderthals would presumably have been lost from these regions as the new genes swept through the early modern human population. The team found 212 regions with such variation. Among the 20 regions with the strongest evidence for positive selection were three genes that, when mutated, affect mental and cognitive development. These genes have been implicated in Down syndrome, schizophrenia and autism. Other regions in this list of 20 included a gene involved in energy metabolism, and another that affects the development of the cranial skeleton, the clavicle and the rib cage. "In all these cases it requires much, much more work. This is really just hints at what genes one should now study, and I'm sure we and many other groups will be doing that," Pääbo said. The researchers also used the Neanderthal genome to produce the first version of a catalogue of genetic features that exist in all humans today but are not found in Neanderthals or apes. This catalogue will be valuable for scientists who study what sets humans apart from other organisms. In a companion paper appearing in the same issue of the journal, another research team with many of the same authors and also led by Pääbo present a new technique to sequence select regions of the Neanderthal genome from especially degraded Neanderthal remains. Using a "target sequence capture" approach, the authors sharpened their focus on the protein-coding regions within several pieces of the genome of another Neanderthal individual from Spain. They identified 88 amino acid substitutions that have become fixed in humans since our divergence from the Neanderthals. More research will be necessary to determine how these changes may have affected human biology. The first genome sequence from an extinct human relative is now available. Together with an international research team, researchers at the Max Planck Institute for Evolutionary Anthropology in Leipzig present an initial draft of the genome sequence of the Neanderthal, a human form which died out some 30,000 years ago. Initial analyses of four billion base pairs of Neanderthal DNA indicate that Neanderthals left their mark in the genomes of some modern humans. Svante Pääbo holding the skull of a Neanderthal. Credit: Frank Vinken. A unique scientific task lasting four years has been completed: a team of researchers led by Svante Pääbo, Director of the Department of Evolutionary Genetics at the Max Planck Institute for Evolutionary Anthropology in Leipzig, is publishing an initial version of the Neanderthal genome sequence in the current issue of the journal Science. This is an unprecedented scientific achievement: only ten years after the decoding of the present-day Homo sapiens genome, researchers have managed to do something similar for an extinct hominid that was the closest relative of modern humans. "The comparison of these two genetic sequences enables us to find out where our genome differs from that of our closest relative," says Svante Pääbo. The Neanderthal sequence presented is based on the analysis of over one billion DNA fragments taken from several Neanderthal bones found in Croatia, Russia and Spain, as well as from the original Neanderthal found in Germany. From the DNA fragments present in the bones, the Leipzig researchers developed ways to distinguish true Neanderthal DNA from the DNA of microbes that have lived in the bones over the last 40,000 years. Enough DNA fragments were retrieved to account for over 60 percent of the entire Neanderthal genome. An initial comparison of the two sequences has brought some exciting discoveries to light. Contrary to the assumption of many researchers, it would appear that some Neanderthals and early modern humans interbred. According to the researchers’ calculations, between one and four percent of the DNA of many humans living today originate from the Neanderthal. "Those of us who live outside Africa carry a little Neanderthal DNA in us," says Svante Pääbo. Previous tests carried out on the DNA of Neanderthal mitochondria, which represents just a tiny part of the whole genome, had not found any evidence of such interbreeding or "admixture". For the purpose of the analysis, the researchers also sequenced five present day human genomes of European, Asian and African origin and compared them with the Neanderthal. To their surprise, they found that the Neanderthal is slightly more closely related to modern humans from outside Africa than to Africans, suggesting some contribution of Neanderthal DNA to the genomes of present-day non-Africans. Interestingly, Neanderthals show the same relationship with all humans outside Africa, whether they are from Europe, East Asia or Melanesia. This is puzzling, as no Neanderthal remains have been so far found in East Asia. They lived in Europe and Western Asia. "Neanderthals probably mixed with early modern humans before Homo sapiens split into different groups in Europe and Asia." This could have occurred in the Middle East between 100,000 and 50,000 years ago before the human population spread across East Asia. It is known from archaeological findings in the Middle East that Neanderthals and modern humans overlapped in time in this region. Apart from the question as to whether Neanderthals and Homo sapiens mixed, the researchers are highly interested in discovering genes that distinguish modern humans from their closest relative and may have given the modern humans certain advantages over the course of evolution. By comparing Neanderthal and modern human genomes, the scientists identified several genes that may have played an important role in modern human evolution. For example, they found genes related to cognitive functions, metabolism and the development of cranial features, the collar bone and the rib cage. However, more detailed analysis needs to be carried out to enable conclusions to be drawn on the actual influence of these genes. The researchers obtained the majority of the DNA used for their study from the bone fragments of three female Neanderthals who were excavated in the Vindija Cave in Croatia. Credit: Max Planck Institute for Evolutionary Anthropology / Frank Vinken. 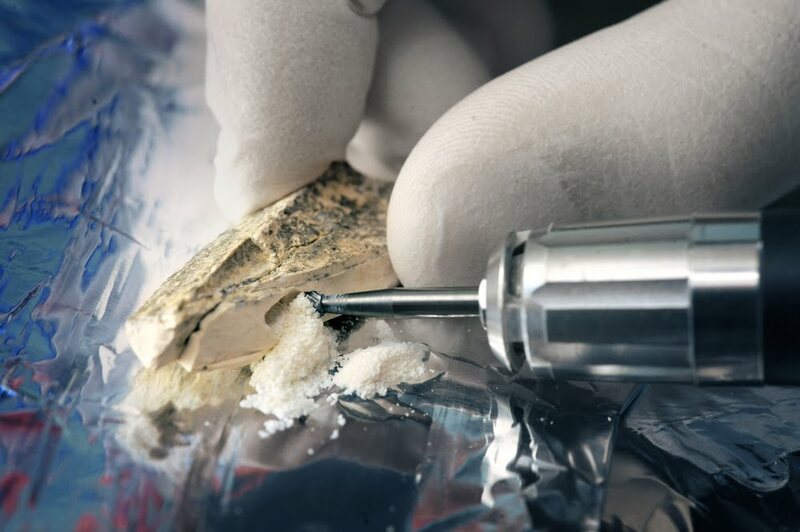 The research team obtained the majority of the DNA used for their study from a total of 400 milligrams of bone powder, produced from three female Neanderthal bones that were excavated from Vindija cave in Croatia where they lived over 38,000 years ago. Sequencing the genome of a species that died out tens of thousands of years ago posed a very special challenge, as the DNA had disintegrated into tiny fragments over the course of time and suffered other types of chemical damage. A further complication arose in the form of contamination. "Over 95 percent of the DNA in one sample originated from bacteria and microorganisms which colonised the Neanderthal after his death," says Svante Pääbo. Human DNA, which can enter the sample during excavation or in the laboratory, could also jeopardize the results. Pääbo and his team in Leipzig used various techniques, some of them completely new, to eliminate the contamination from the DNA to be sequenced. For example, they processed the samples in ultra-clean rooms and marked each DNA fragment from the bone with a short synthetic piece of DNA as a label, to be able to distinguish it from any modern human DNA introduced later in the sequencing process. Crucially, the researchers could show that these anti-contamination measures were effective by careful analysis of the sequence results. "We will also decode the remaining parts of the Neanderthal genome and learn much more about ourselves and our closest relative," says Svante Pääbo.